Ian’s Studio is in Stockport. We are located in Woodbank Works, Turncroft Lane, Offerton, SK1 4AR. For directions, please click the find us link at the bottom of any page. The studio is located near Woodbank and Vernon Parks, which makes it ideal for doings shoot part on location and part in the studio. The studio space consists of a 23x16ft multi-purpose studio space. The floor is an original parquet floor. Large white back fixed backgrounds have been installed on two of the walls. Paper backgrounds can be used against two walls and a number of feature backgrounds such as wallpaper panels and painted backgrounds are also available. 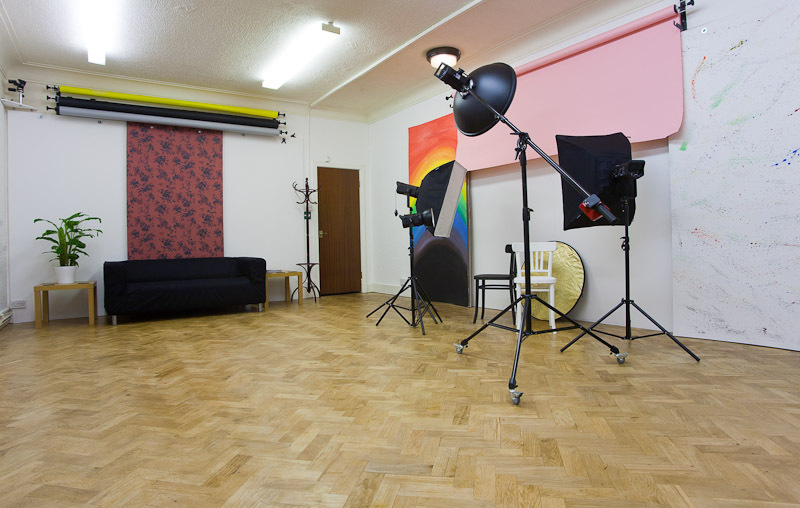 The Studio opened in February 2011 and is available for hire to other photographers. Ian’s studio is the venue for photographic training and events. Welcome to the studio, want to find out more?